On the backside Gabriel signed a thank you message for each of the teachers. 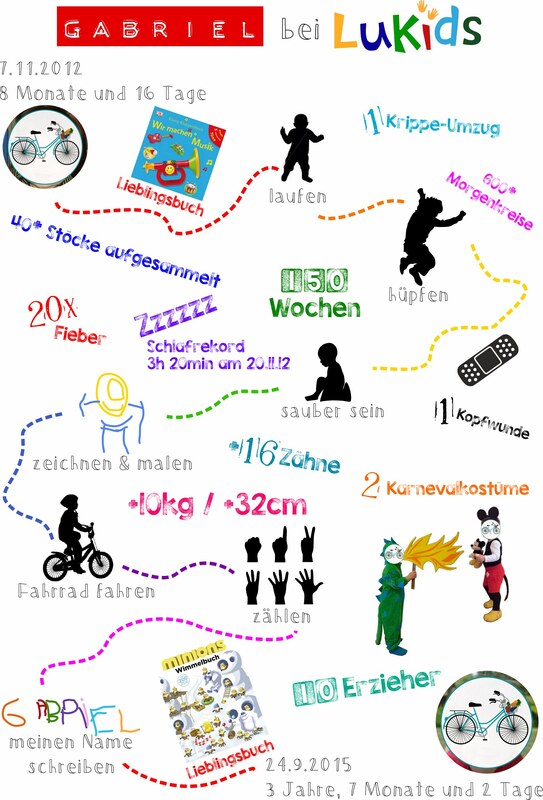 To do the infographics we used Inkscape (by the way, the free software we use for all graphic designs, which you can get here). In order to have Gabriel’s signature and one of his drawings in a vectorized format we have used Inkpad, a software to hand draw on the Ipad. We have also used some fun fonts we thing we’ll use a lot in the future because… they are great! There are the two stamp fonts KG Tribeca Stamp and Randy Described Eternity, the label font fmz Embossed Label Light and the beautiful Freshman font from Jones Design Company, all of which you can use for free for non commercial use. 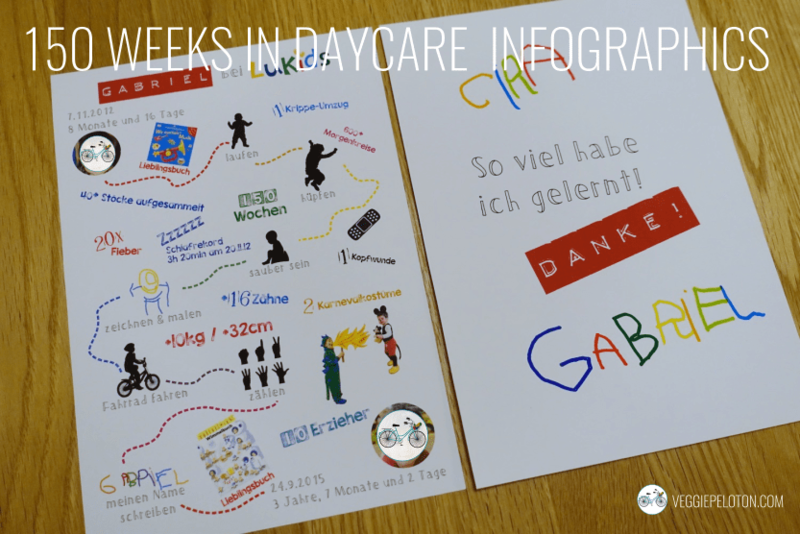 This post closes a series of posts where we shared all activities around this big event which was Gabriel leaving his first daycare and which we particularly enjoyed to make! (easy watercolor painting as teachers’ gift, rainbow frog crayon as goodbye gift for the children, rainbow frog cupcakes). We keep an excellent memory of the time Gabriel spent in LuKids and look forward to the coming time in his new kindergarten: Auf Wiedersehen Regenbogen, Hallo Frosch!